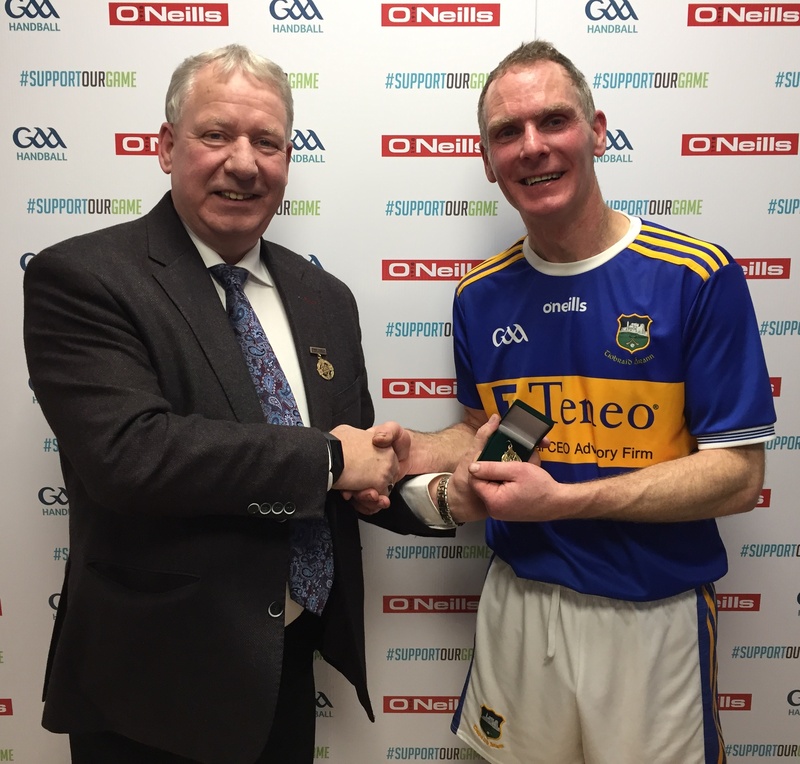 The 2019 Electric Ireland Munster GAA Football Minor Championship is next on the agenda for Tipperary followers when Matt O'Doherty's side get their phase 1 campaign under way on April 10th against Waterford at a Tipperary venue. The All-Ireland 40 x 20 juvenile and adult singles finals were hosted by Kingscourt at the weekend. Tipperary were through to one juvenile final and three adult finals. In the Girls U14 Doubles Hannah Grace and Leanne Gould (Lahorna) were in top form once again and had a convincing win over Leah Ní Mhainnin & Cliodhna Ní Chonghaile from Galway winning 15/3, 15/8. The winning Tipperary duo are pictured above. In the adult grades John Kennedy (left) from the Silvermines was on top throughout in the SMBS and coasted to a 21/8, 21/8 victory. In the MBS Brian O'Brien got off to a poor start and was unfortunately defeated. Sympathy also to the wife and family of the late Pat Ryan (Ger) Littleton and a member of Moycarkey-Borris GAA Club. Pat was on the Tipperary minor teams of 1954 (sub) which lost to Dublin in the All-Ireland final, the 1955 side which beat Galway in the final and was captain in '56 when Tipp defeated Kilkenny. He was also on the Tipperary intermediate team which defeated Cork in the Munster Final but lost the All-Ireland final after a replay against Wexford. At that time Pat was a member of the Tipperary senior hurling panel between 1958 and '64. Tipperary defeated Dublin 0-16 to 1-12 in the '61 final and Kilkenny 5-13 to 2-8 in the '64 final.